Grahak Sathi (August-September 2018), the National Consumer Magazine in Hindi published by Consumer Education and Research Centre (CERC), Ahmedabad, recently released findings of its in-house comparative product testing laboratory of ten brands of packaged drinking water (pouches). Packaged drinking water is water from any source, which has been treated and disinfected to make it fit for human consumption and then packaged in bottles or pouches. The pouches were tested for two microbiological parameters – aerobic microbial count and coliform bacteria –and assessed for labelling. In a welcome move, the Ahmedabad Municipal Corporation announced a complete ban on production and use of packaged water pouches commemorating World Environment Day on 5 June 2018. The theme for the day was ‘Beat Plastic Pollution’. Our testing of water pouches was conducted much before the ban was announced. Water pouches have been banned in Rajkot as well. Maharashtra has banned water pouches of less than 200 ml capacity. The test findings were alarming. Sixty per cent of the brands failed to comply with the parameters though they all carried an ISI mark. This means they could be fake products or carrying false ISI labels. It is compulsory for all manufacturers who intend to set up drinking water processing units to obtain the ISI mark from the Bureau of India Standards (BIS). However, illegal manufacturing units do thrive across the country, endangering people’s health. CERC’s test findings on bottled water in 1998 created ripples in the country. The findings revealed that only three brands out of the 13 tested conformed to the standards. Twenty years down the line, the situation is no better. Aerobic Microbial Count: As per the BIS limits, the total viable colony count shall not exceed 20 per ml at 37°c in 24 hours and 100 per ml at 20 to 22°c in 72 hours. Five samples of water pouches had total viable colony count more than the prescribed limit at 37°c in 24-hour microbial count. Five samples of water pouches had total viable colony count higher than the prescribed limit at 20 to 22°c in 72-hour microbial count. Significance of parameter: The Aerobic Microbial Count test determines the total number of aerobic bacteria and is an indication of the bacterial populations of any sample. Coliform bacteria: As per the BIS limits, Coliform bacteria shall be absent in any 250 ml sample. One sample of water pouch had Coliform bacteria. Significance of parameter: The presence of this group of bacteria is considered to be an indicator of the degree of unhygienic practices during production. Coliform bacteria can cause bloody diarrhoea, vomiting, gastroenteritis, urinary tract infections and typhoid. All pouches carried the ISI mark. Only one pouch displayed batch number (Bac-free) and two had FSSAI manufacturing licence number (Aquata and ABM). Three pouches mentioned the processing date and best before date (Fasters, Aquafeel and Bac-free). Ironically, seven brands mentioned: “Best before one month from date of processing/packing” but they did not mention the date of processing/packing itself! The labels in all brands mentioned name of the product (i.e. drinking water) brand name, name and address of processor, net volume, treatment of disinfection and directions for storage. Our Best Buy is Bac-free which obtained the highest Overall Score. Not only did Bac-free perform well in the microbiological parameters, it also got the highest labelling score. The label on the Bac-free pouch carried the manufacturing date, best before date and batch number. All this information is very important from the consumer’s viewpoint. The label on the Zion (which was ranked second) pouch had none of this information. Since all the pouches tested had ISI mark, but 60% failed to comply with the standards, BIS should look into the possibility of them being fake products. BIS should test samples regularly to safeguard the health of consumers. The regulatory authorities should take strict action against manufacturers who do not give the required labelling information. The demand for packaged drinking water, especially water pouches which are popular among low income groups, is rising. The regulatory and monitoring authorities should ensure that packaged water offered for sale is safe and free from harmful organisms. Pouch packaged drinking water comes under mandatory BIS certification norms. Hence it is a matter of concern that 60% of the samples failed to comply with the standards. Consumers should go for bottled water which is likely to be safer. Paani Foundation is a not-for-profit company set up in 2016 by the team of the TV series Satyamev Jayate to fight drought in rural Maharashtra. Water scarcity is largely a man-made condition, and we believe that only people’s efforts can solve the crisis. Paani Foundation aims to harness the power of communication to mobilise, motivate and train people in this mission to eradicate drought. 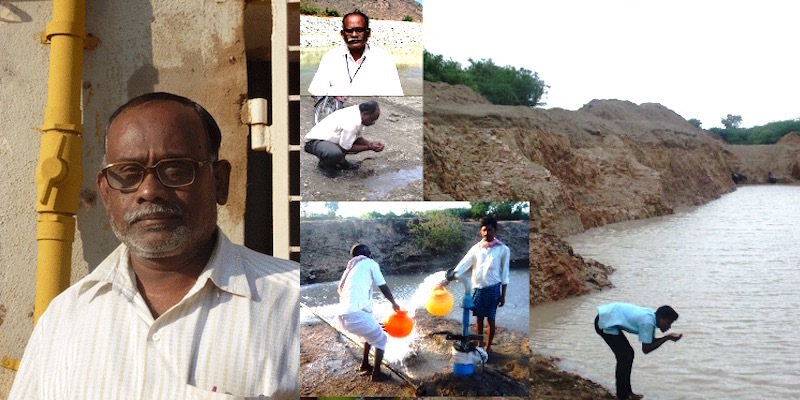 Offering training in scientific watershed management, leadership and community-building, Paani Foundation is now working in roughly 90% of drought-hit Maharashtra. Our flagship project, the Satyamev Jayate Water Cup was instituted in 2016 as a way to encourage villages to apply their training in watershed management. Water Cup 2018 will be held from 8th April to 22nd May 2018. Dropping crystals in clouds to induce rain, transporting water from other states by trains, covering a reservoir with thermocol to check loss of water to evaporation -there was no dearth of suggestions in Tamil Nadu‘s corridors of power as the state witnessed its worst drought in 142 years. It is one such idea, criticised as expensive and unviable, that now accounts for 40% of the water supply in capital Chennai: Tapping sea water. Desalination plants in Nemmeli and Minjur -with a capacity to produce 100 million litres of water per day (mld) each -are now the city’s lifelines with traditional sources drying up. Chennai is almost entirely dependent on the monsoon for its water supply, the failure of which puts the city in a tight spot. Combined storage level in the four reservoirs that cater to Chennai stands at 3% against their total capacity. The supply of Krishna river water from neighbouring Andhra Pradesh under the Telugu Ganga project has been suspended for more than two months now. Chennai’s nodal agency for water distribution, CMWSSB, has been coercing farmers in neighbouring districts to sell Chennai their water.Officials are also trying to sourcing water from stone quarries 23km from the city . In all this, it is the treated seawater -that normally is an option in regions with no rains or other water sources -that meet the city’s demand for water. But senior officials doubt the sustainability of the desalination projects.Apart from environmental concerns, sourcing water thus is expensive. At present, CMWSSB pays Rs 60 per kilo litre for the water from Minjur, up from Rs 48 per kilolitre that it paid when the facility began operating in 2010. This works out to Rs 60 lakh for 100 mld of water. Water from the Nemmeli plant costs around Rs 30 per kilolitre. “We’re able to do this because the state is rich. I don’t know if it’s feasible in other states,” a senior official said. Voltage fluctuations and adverse weather are a serious challenge too in operating the plants and hike the costs. But this has not deterred the state from proposing two new plants, of 150 mld and 400 mld capacity in Perur, close to Nemmeli. At present, TN accounts for 24% of the total desalinated water capacity in India, second only to Gujarat. 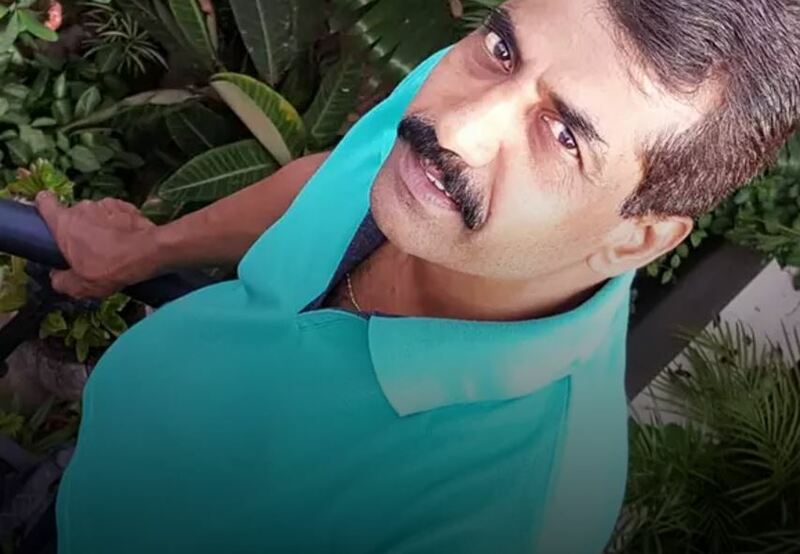 Experts meanwhile describe desalination as a “last option”.S Janakarajan, professor at Madras Institute of Development Studies, says that seawater desalination was conceived for rich, rain-starved countries like those in West Asia. “Chennai’s average annual rainfall is well over 1,200 mm. It should ideally be the last resort which, in this case, is not,” Janakarajan said. With scant supply , water distribution is charted out daily by the CMWSSB.”Our planning [daily distribution] hinges on how much water the desalination plants supply ,” Arun Roy , managing director of CMWSSB, said. 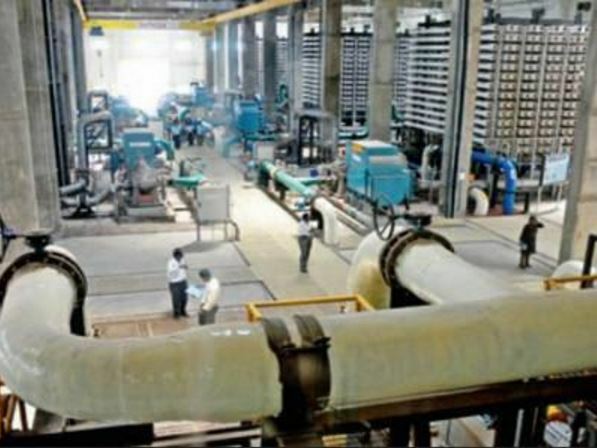 On average, the two plants churn out around 180 mld of the 470 mld CMWSSB now supplies, against Chennai’s demand of 1,300-1,400 mld.The plant in Minjur caters to industries and a few localities in north Chennai, while the Nemmeli plant caters to nearly 13-15 lakh residents in south Chennai, which is also house to the city’s IT hub.